Categories: 4-20 mA, Analog, Output, Type Of Transmitter, Transmitters, Input, Potentiometer, Isolation, Unisolated, Measuring Channels, 1 Measuring channel, Design, Rail Mounted. DB537 is designed for input signal from potentiometers and has an adjustable measuring range from 100 Ω up to 100 kΩ. The unit has a very short response time, which makes it ideal for valve and actuator feed-back. 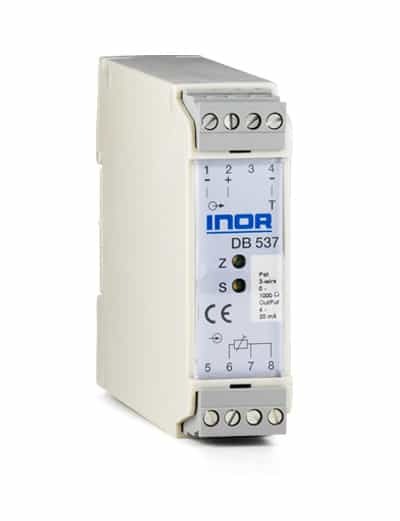 DB537 provides an output signal, 4-20 mA, that is easily matched to the end positions of a valve or an actuator.